Along with mental health issues like anxiety, there are many symptoms and side effects that can further impact your health. 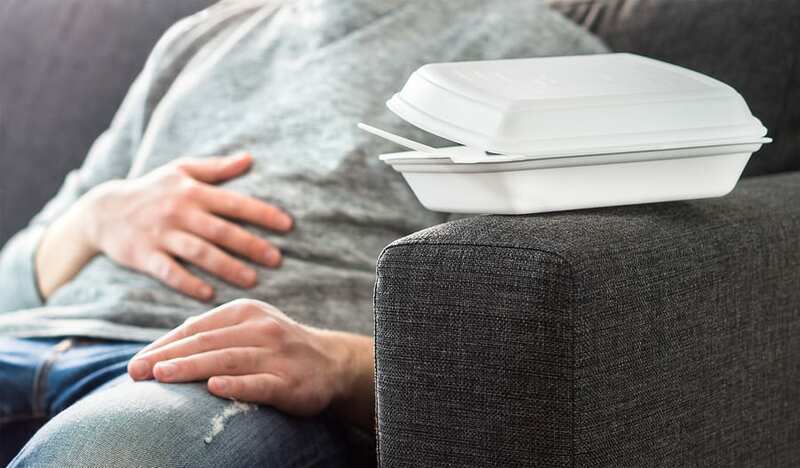 Many people find that their appetite changes when they are dealing with anxiety and they might end up eating more than they should. Stress eating is a very common issue that can sabotage your health and ruin your diet when you have anxiety. Biologically, stress eating occurs because when you are anxious your brain will usually focus on an immediate reward rather than a long term goal. The stress hormone cortisol can also increase hunger signals when you are anxious which can cause you to eat more than you normally would. However, eating more food and especially heavy comfort food does not do much to ease anxiety. Food may provide a temporary distraction but anxiety will continue to grow unless you address it in more effective ways. Once you are able to acknowledge that you overeat because you are anxious you can start to identify what is causing your anxiety and get to the root of the problem. Understanding why you are anxious and considering that can help you avoid overeating as a solution. There are other methods to deal with anxiety that can be healthier and more effective than overeating such as meditation, relaxation or breathing techniques, journaling or talking to a friend. Finding an alternative and working on developing a calming ritual can help make you less likely to overeat when you are feeling anxious. Focus on techniques that seem to have an immediate effect of reducing stress for you. If your anxiety becomes difficult to handle on your own it may be a good idea to contact a therapist. Talking to a professional is often the best solution for dealing with mental health issues that affect your life.